Improve data collection and increase sales opportunities across your venue to gain a better understanding of guest, member and donor visitation and spending patterns. FocusPoint360 modules communicate with each other and can be integrated with third party tools. Administrative controls have a web based interface for simplified access to reporting, product setup and management. Intuitive controls for simple navigation and data collection. Create prompts for upsells, collect survey information and donations for good cause. Cross-sell and up-sell a variety of tickets from general admissions and special events to shows and programs (education, lectures, tours and more). FocusPoint360 Admissions provides you with controls to manage the availability and timing of your offerings while also linking with other KMIT modules such as Bookings (facility rentals and group sales) and Membership. Utilize our education features to provide custom registration forms, multiple payment options, digital waivers and program add-ons from other modules. Education communicates from a client facing ecommerce interface to the POS and back office. More accurately process and manage group reservations in FocusPoint360. Sell items across multiple areas of business including tickets, retail, food and events. Group reservations are posted to an internal calendar with options to view dashboard of upcoming activities. Utilize a variety of features including group ratio management and configurable payment options based on end user group types. Query, drill down, save to favorites, email, schedule and more! FocusPoint360 provides intuitive controls for users to find the data they need, minus the coding. Export to a variety of formats and utilize options for 3rd party interfaces with tools such as Microsoft Business Intelligence tools. Quickly validate tickets and memberships/season passes via authorization within the Point of Sale and using our iOS application. Save guests from having to wait in line and quickly count attendance. 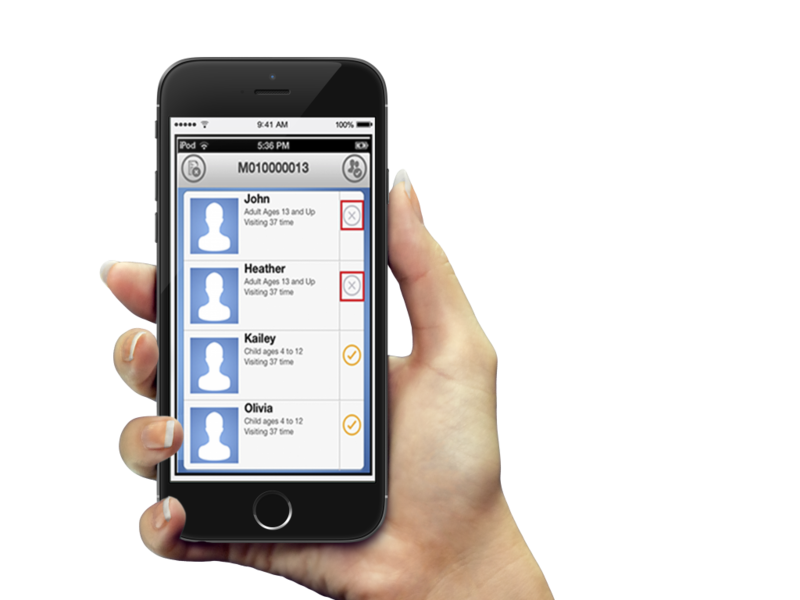 Integration with FocusPoint360 Membership enables you to track who within a household is visiting for the day. Run the membership module independently, or fully integrate with FocusPoint360 Admissions, Ticketing & Education,Bookings (Group Sales Facility Rentals), Self-Service Kiosk, Retail, Food, and E-Commerce offerings. Process new purchases, gift memberships, ticket to member upgrades and integrate with third party tools for donation, CRM and email marketing functionality. Configure and edit education program registrations, special events and birthday party bookings, and more. Interface with the FocusPoint360 eCommerce module to provide guest with streamlined options for purchase. Our tools provide user configurable registration forms, digital waivers with signatures, different payment options, member discounts, early bird registration and more. Issue refunds, reload cards, check balances and even provide access to third party systems and concessionaires. Streamline the guest experience and limit wait times by offering self-service kiosks in the areas of Admissions and Food and Beverage. 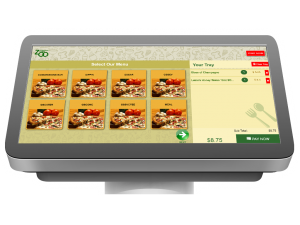 Centrally manage kiosks across your venue and offer member discounts and promotions on purchases. 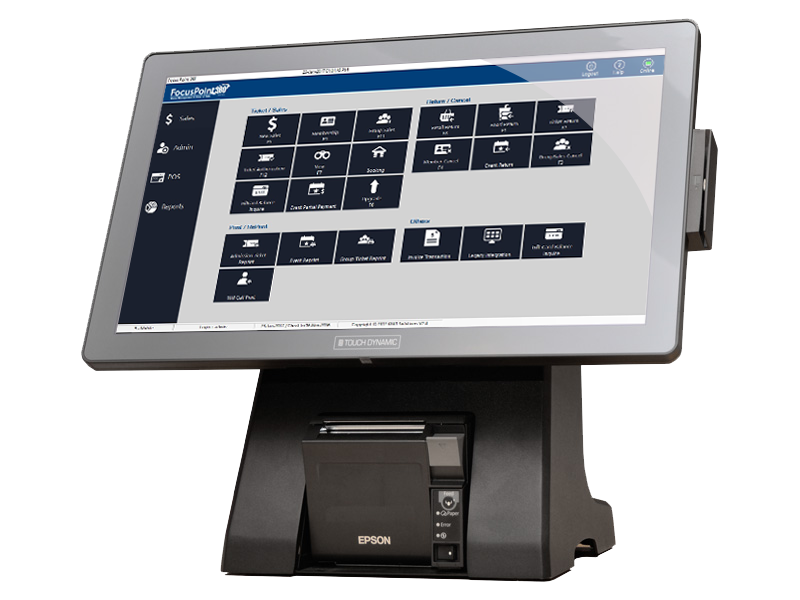 Utilize a variety of hardware from traditional kiosk hardware to simple tablets. Sell food items on a variety of user configurable menus across multiple sales locations. FocusPoint360 supports options for single and multi-location inventory management controls for organizations of various sizes. Utilize inventory management, combo meal management, modifier controls, purchase order management with detailed controls and and more. Interface kitchen display systems and kitchen receipt printers to keep track of orders and quickly process guests. 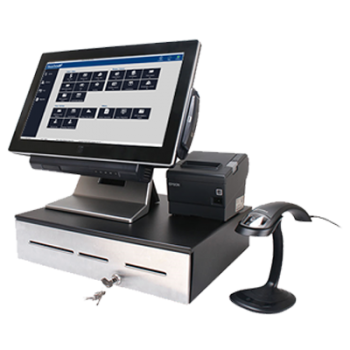 Sell products via the stationary Point of Sale or on a tablet. Manage the purchase orders, receipts, returns and inventory levels for your products. Our browser based interface provides ease of use and accessibility from a variety of locations. Sell and manage mulitiple SKUs of products with special discounts and promos available for guests to redeem. Manage inventory in a separate, dedicated warehouse and by sales location. Utilize inventory management controls for purchase orders, receipts, returns, item adjustments, product and vendor management. Retail sales interface with Membership and eCommerce modules to provide a more streamlined purchase process for guests.